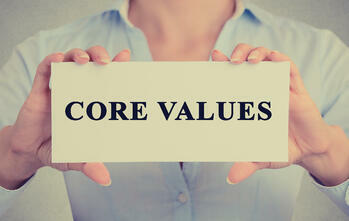 Defining your business’s core values is vital for its growth, expansion and success. Your company’s shape, vision and culture are all contingent upon rock-solid values, as is its overall architecture. As a major business component provider, Entrepreneurial Operating System (EOS System) is ready to promote your definition of success. Core values assist the decision-making process, and they’re the driving force behind any professional ecosystem within the competitive world. Before crafting, planning and launching a potent company culture, consider the following “Core Value Determinants”. Question One: What Image do You Want to Convey? Different industries define core values differently, but, in most cases, the above “highlighting factors” are excellent company identifiers. Acknowledging responsibility for products, actions, policies and decisions is important. Similarly, maintaining a strong community, a unique industry approach and firm grasp upon commitment are important for continual growth. Question Two: What are Your Business’s Underlying Philosophies? Similar to its image, your company’s underlying philosophies define your inspirational “fuel source”. At the end of the day, much of your expanding business’s goodwill will be derived from a strong dedication to quality products and services. Similarly, your business’s integrity lies upon philosophical honor and honesty. Your business’s philosophy should never compromise the truth. Similarly, it should be greatly attributed to doing the right thing, assisting others and—in general—making the world a better place. Question Three: What are Your Personal Values? All too often, business leaders forgo their personal opinion. However, as the ship’s captain, you’re responsible for its direction. Defining your personal values may be harder than you think, and developing potent strategies reflecting such values—even harder. Be honest with yourself, and ask yourself, “Why am I doing any of this?” Chances are, you’re defining your business’s purpose. Remember: Your personal values shouldn’t be compromised, and your business should always retain its integrity. Question Four: What are Your key Employees’ Personal Values? A powerful philosophy rests on community empowerment. Encouraging your employees is a professional “must”, and adopting a quick, effective environment while inspiring leadership is important. That said, your employees’ values are as important as yours. No person is an island, and every business is the sum of many parts. Your employees’ personal values aren’t only relevant, they’re vital for expansion and professional inertia. Always gather information from managers, partners and influencers. When defining your corporate strategies, utilize these combined values to aim your progression. Question Five: Are You Able to Test your Commitment? Your commitment to success is important, though many may consider “values” difficult to measure. However, as an industry leader, you’ll need to adhere to fundamental ethical priorities and beliefs. In several ways, commitment can be gaged—even effectively so. Hire individuals adhering to your company’s core values. Similarly, let go those unable to meet philosophical and ethical requirements. Once you’ve crafted your core values, share them with the entire company. Again, business success requires combined efforts and understanding. Integration is always important, and maintaining a firm grasp upon your company’s ethics, standards and procedures not only ensures consistency—it ensures longevity.